Hoping for some great one-on-one time with your kids this vacation? This interactive museum provides a unique place for educational play between children and their parents, grandparents or caregivers. Little ones from infant to eight will be captivated by the fun-filled play centers and engaging activities. Each weekly activity has been chosen to highlight key skills and concepts blended with play. They are planned to accommodate a wide range of ages and abilities and can easily be adapted or extended. For more information, visit the website. Lawton Stables in Sea Pines is an exciting wildlife experience for the whole family. 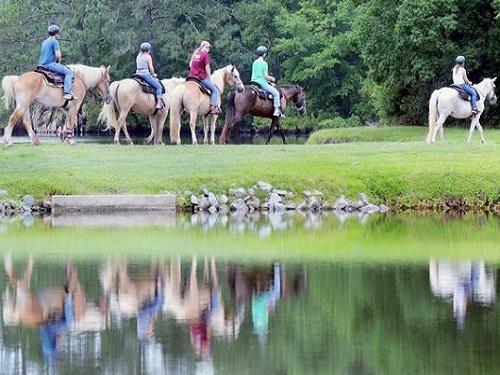 You can take a one-hour guided Western-style trail ride into the 600+ acre Sea Pines Forest Preserve where beneath a canopy of Palmettos and moss covered oaks, you will experience the authentic Lowcountry on horseback. The friendly guides give insights about the Island’s culture and wildlife. The ride’s pace is kept at a walk so that riders of all abilities can settle in comfortably and take in the beautiful, tranquil surroundings. The stables also have a wonderful collection of small animals, including goats, sheep, miniature donkeys, miniature cows, pot-bellied pigs, alpacas, Shetland ponies, and chickens. You can purchase food at the front desk to feed the animals. 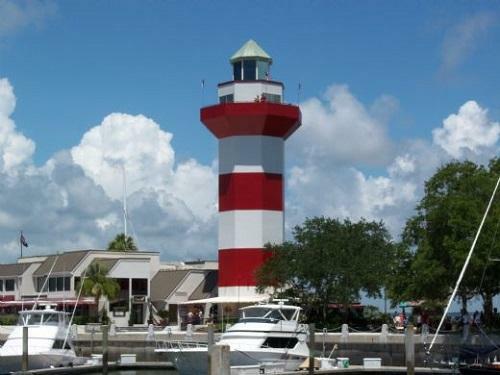 The red-and-white-striped Harbour Town Lighthouse serves as a landmark that has come to symbolize Hilton Head Island to people all over the world! With the addition of the Lighthouse Legends Tour in 2001, the lighthouse transformed this icon into an informative, educational, and fun experience for all. The lighthouse stands as one of the most unique gift shops on Hilton Head Island, featuring one the largest collections of lighthouses in America. Make sure to let your friends and family know they can share in your Lighthouse Legends Tour experience by checking the Lighthouse WebCam. For more information, visit the website. Spend a day outdoors on Pirate’s Island! 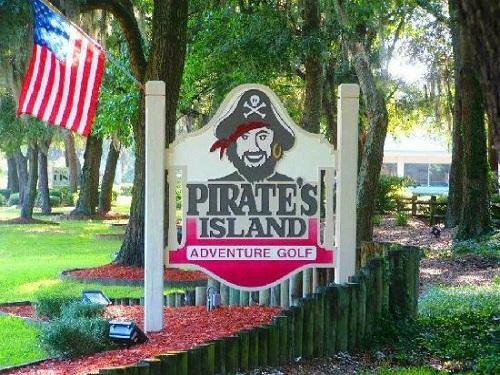 They offer a unique “Adventure Golf” experience for ages three and up. Follow in the footsteps of notorious pirates like Blackbeard and Captain Kidd. Begin your themed adventure at their seaside village and depart along the shores of the tidal lagoon. Continue through the caves where pirates buried their booty and explore the mountain to view a panorama of their entire pirate adventure. Extraordinary landscapes, waterfalls, streams and bridges await as you stroll through this themed setting. 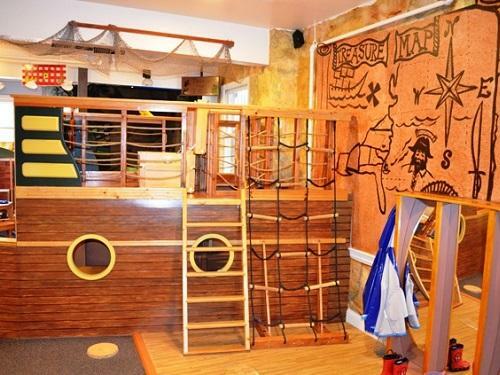 Pirate’s Island is an experience the entire family can enjoy. For more information, visit the website. Every Tuesday night throughout the summer, Shelter Cove Harbour presents HarbourFest, a family-friendly festival on the waterfront at Shelter Cove featuring live music by Shannon Tanner at 6:30 p.m. and 8 p.m. You can also enjoy Cappy the Clown, face painting, carnival games, treats from vendors and fireworks to end the night in the most spectacular way! All of these fun activities are set amid great restaurants and shops in Shelter Cove. HarbourFest runs each Tuesday, from June 13th to August 15th from 6-10 p.m. 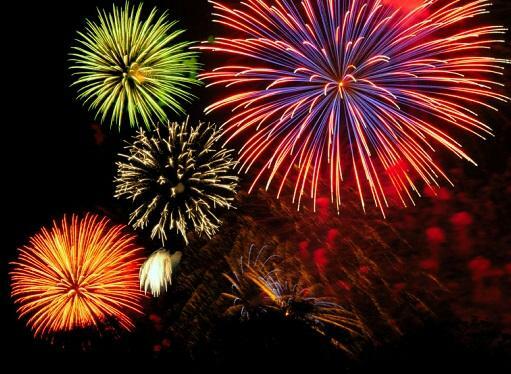 The fireworks shoot off at 9:30 p.m., weather permitting. For more information, visit the website. What are your favorite things to do in Hilton Head Island? Share with us on Social Media.